After studying at The University of Central Lancashire and winning D&AD Student of the Year for a Paul Smith point of sale campaign, Steve joined The Chase Manchester in 1997. He then moved to London in 2002 to co-form the London studio with Harriet Devoy (ex Preston and now Creative Director at Apple). 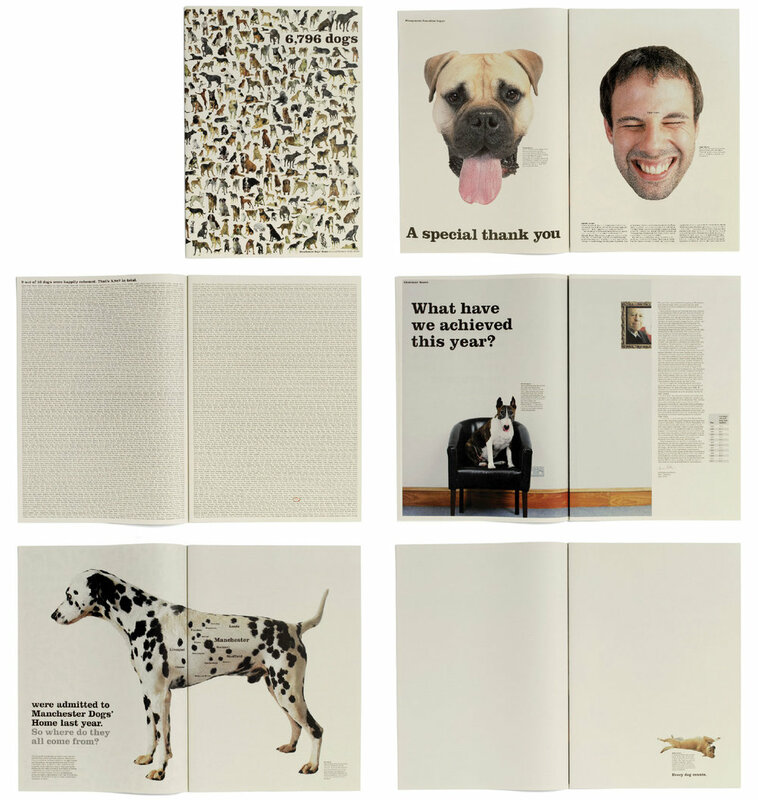 In 2006 he was made Creative Director of the London studio working closely with clients such as Land Securities, BBC, Royal Mail, British Council and Ingenious Media. Returning North in 2008, Steve now heads up his own team in the Manchester studio working with Rio Tinto, AstraZeneca and The Co-operative Group. a Design Week award, Silver nominations from D&AD and, of course, the D&AD Student award. How are where did you secure your first job? I joined The Chase in Manchester just after I graduated. I was lucky. Ben Casey came to the graduate shows, pulled me to one side and took me to the pub for a ‘chat’. The deal was done. And I’ve been here ever since. Absolutely. It opened up a network of people with a common belief and approach to design. And it runs deep. There’ll always be someone who studied at Preston somewhere. It’s down to the legacy of the course that fellow students have become the greatest of friends. And the wider network have become family. It’s a bit weird really. All that’s missing is the special hand shake. In the relatively short time I’ve pretended to be a designer, the industry has changed a great deal. One of the most significant changes for me is the speed of change, and the speed of thought. Project timelines have squeezed into lunch breaks and before you’ve presented ‘the big idea’ you’ve already sneaked the follow up campaign under the nose of the CEO. And that’s before the brief has changed for the third time. Times have changed. It’s the impact of digital media and social media that has made this happen. Designers need to be more agile than ever before. You’ve got to keep pushing yourself. There’s no right or wrong answer here. The best ideas can come from being totally absorbed and locking yourself in a room, or getting everyone together over a drink. Try chucking the brief away, driving the car, a long walk. That exhibition you’d promised yourself to visit, that moment of panic with twenty minutes to go to the deadline. Getting up in the middle of the night. Those West Coast trainline moments. In fact, there should be a carriage devoted to designers on the train between Manchester and London. It’s been the source of many a great idea. Don’t forget you’re being paid to have these mini moments of magic. In a whirlwind of deadlines and Illustrator not doing what you want it to do – try to enjoy it. So working alone or with others? I often start out alone, but then I get the fear, and the demons in my head fire up the self doubt. That’s when the whole team gets together and we throw it about then it gets interesting. I’ve worked with a lot of people over the years, and it just clicks. You always get there. You dive in to a zillion other people’s jobs. It’s a bit like Mr. Benn, trying on different outfits to suit different industries. You’ve got to learn fast, clients want to share their knowledge and get you up to speed – you’ve got to become part of their team to succeed. It’s the variety of this that makes everyday such a challenge. Get it right and they’ll pay you to come up with great ideas that make the both of you look great. The belief that I’m not successful. I’m still pushing myself to find a better solution. It never ends does it? Standing in a pair of shorts, flip-flops and wearing a Hawaiian shirt on a rain soaked motorway slip-road in freezing February. Artworking an Annual Report to meet a deadline for D&AD with severe food poisoning. A three day recce in Perth, Australia shooting road signs for mining giant Rio Tinto. Waking up on the hard shoulder of a dual carriageway with a broken nose. That’s common right? The perfect fit. We’re all different and have different strengths. There’s no point having a studio full of designers with exactly the same approach. It’s about finding the perfect mix of ability. In terms of portfolios, I’m big on ideas, killer ideas. If you can put that smile in my mind then I’m happy. If you want it, throw yourself in. But be prepared – it isn’t easy, and it doesn’t get any easier.